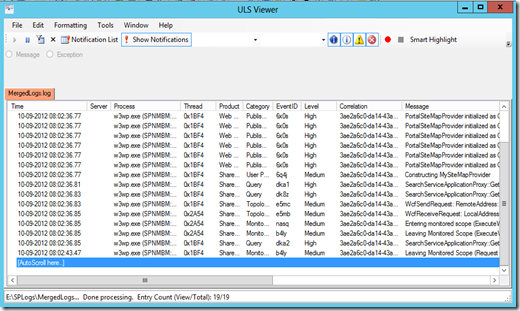 When you are hit with a problem in SharePoint 2013 you get notified to use a correlation id to check for further details in the trace logs (ULS logs). So you hopefully start up ULS Viewer and open up the relevant logs and search like a mad man after this specified correlation id. Sometimes you don’t find the provided correlation id in the log file you opened. Is there a easier way? Let me explain how you can use this powerful command. Lets visualise a simple farm. 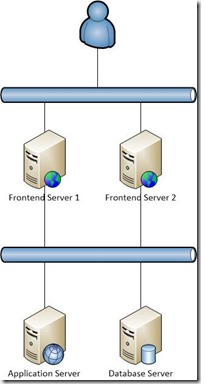 Now that was a very basic example to merge the various servers log files. 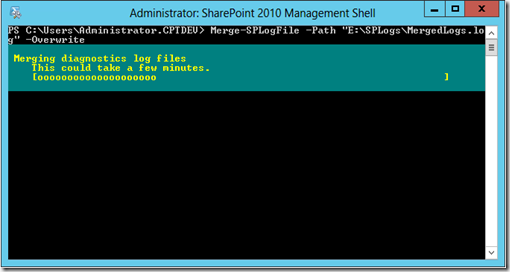 More parameters are available on theMicrosoft TechNet article for Merge-SPLogFile. For example Area, Category, Level, Message, StartTime, EndTime and more. 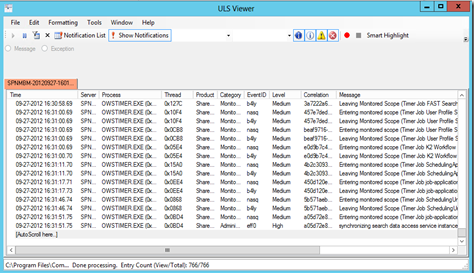 Since the log files are merged with just the specified correlation id you can load the log file in ULS Viewer to easily view the entries. Please be aware that the log can be empty if the logging level is set to low for the SharePoint category. Just go to SharePoint Central Administration to increase the logging level. As you can see in the image above the correlation id has 19 matching entries in the log file. Much less log entries to scroll through. I hope this helps you on finding SharePoint errors quicker and easier. Let me know what your favourite commands and tools are for debugging SharePoint.